Anybody who has ever put on a wedding knows how expensive they are. Any singer who’s ever been hired to play a wedding knows how lucrative they can be. Weddings are super fun to play. Many couples want live music at their wedding. They’ll often want someone playing them down the aisle and then want a cover band to facilitate the party at the reception. Wedding gigs are fun for many reasons. Generally, by the time you are playing, the stressful parts of a wedding are over, and everyone is partying. Weddings are (hopefully) happy events, so everyone is very forgiving and just wants to have fun. They also tend to pay well. Many businesses double their prices as soon as they hear they’re being booked for a wedding, and musicians are no different. Wedding bands typically play for no less than $1,500 and can be paid up to $15,000 for a single night. A well-known and reputable wedding band can make a sizable income during wedding season. 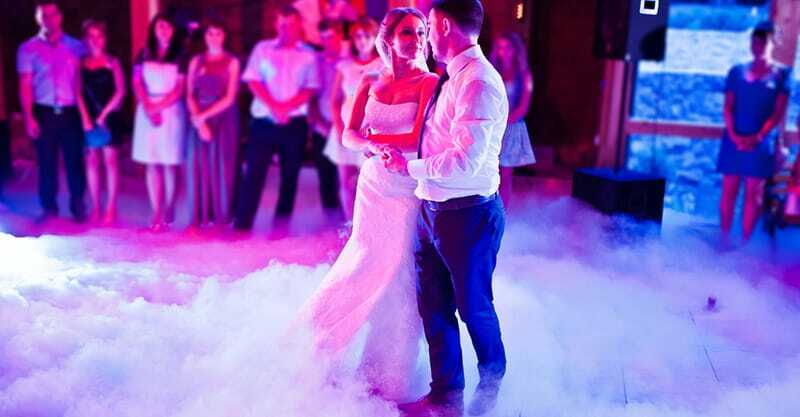 Often, wedding bands will have access to or own their own sound system. Most bands charge a little bit extra to bring their own system, set it up, and facilitate sound for the evening. 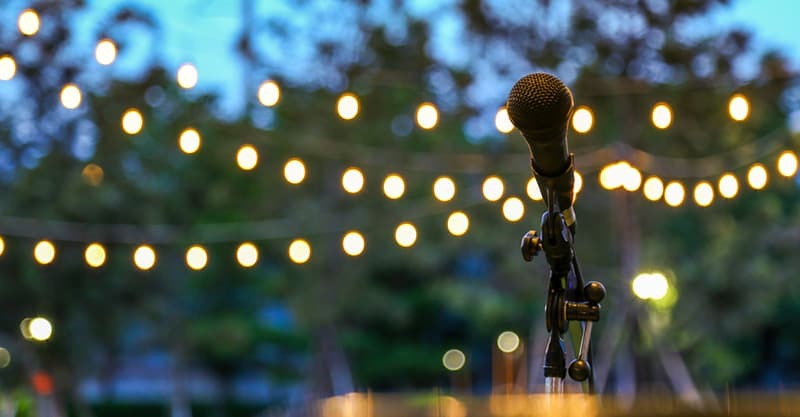 Having played many weddings and played in many cover bands, I’ll walk you through the steps necessary for starting a career as a wedding singer. 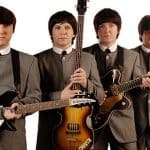 What Instrumentation Does The Band Need For Wedding Gigs? Wedding Band Members; Who Should I Hire? What Does A Wedding Singer And Wedding Band Need To Be Able To Do? How Much Do Wedding Singers Get Paid? And How Much Should Each Performer Aim For? The thing is, usually singers don’t get hired by themselves to play at a wedding. Generally you need a full bands. With that in mind, firstly, you’ll need to figure out who you’ll be hiring to play in the band and what you’ll be playing. In my opinion, you should consider what you’ll be playing first, simply because the songs you choose will determine instrumentation. Will this band play a certain genre? A certain era? Does it have a theme? There are many versions of the classic “cover band”. Some bands are more like tribute acts – covering a specific artist very well, often dressing up in costume. Other bands cover a certain era. They’ll play songs from the 80s, or from just the 70s. Or they’ll do something quirky and play all of the B-sides of major albums from the 80s. There are lots of variations to think about here, but the end result should be an amazing song list. When people hire you to play a wedding, there’s two things they’ll ask you: how much you cost and what songs you play. You need to be able to answer both those questions, and having a great song list can make or break the deal. If you don’t have a specific “shtick” in mind, that’s okay. There are many “general wedding bands” out there that have compiled a huge list of great wedding songs to perform. For ideas, look up “Top 50 Wedding Songs“, and get started. You’ll need slow songs for the dances, upbeat songs, songs that everyone can sing along to (“Don’t Stop Believin’”, “I’m Gonna Be (500 Miles)”), songs for the beginning of the night, and songs for the end of the night. Think of how you want your set to flow and learn songs accordingly. Once you’ve compiled a rough set list, you can get to work hiring people. You need to take a look at your set list and decide what the band needs. Does it need a keyboard player? Two guitar players? Should it have multiple people who can sing? These are all worth thinking about when you start hiring people. Financially, it’s always worth considering how few people you can get away with hiring. If you only have three people in the band, then $1,500 is a pretty good wage. Splitting $1,500 six ways – not so much. That said, the bigger and better your band, the fancier the gigs you’ll play. Most cities have a reputable big band or dance band. These bands will often have 10 -1 5 people, horn players, multiple singers, etc. These bands also usually play for $10,000+. So, it’s worth thinking about the kind of band you want to be, the kind of gigs you want to get, and what it will take to make the band successful. 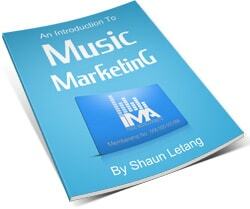 You should now have an idea of the instrumentation your band will require. This means you can start hiring people. Is good at learning songs. A lot of songs. Has a versatile tone on their instrument. Is proficient, and can execute parts convincingly. Has enough free time to commit to the project. If a musician is too busy, you’ll be hiring substitutes often. After that, it’s the same as building any band. The personalities have to mesh, the players have to mesh, and the rest is magic. Wedding bands have slightly different responsibilities than a cover band playing a bar. Weddings are much more expensive, high-pressure gigs. They require more work and more organization. Here are some things that will make your cover band successful. Many couples will have a few songs they request for their wedding. Usually the first dance, the father-daughter and mother-son dance, and maybe a special dance request or two. In my opinion, more than five requests is getting pushy. A few requests are standard though, and you’ll have to be able to learn and play them well. Weddings vary, but sometimes they wander into 3 AM, and the band has to keep on playing. You’ll often have to do three sets: a more relaxed set at the start, often starting or ending with the first dance, a more bumpin’ dance set, and then a rockin’ end of the night set. The more you do it, the more songs you’ll learn, and you’ll inevitably end up with a ton of songs. You’ll be able to play to 4 AM! While not completely necessary, it’s very helpful. Even if the couple provides the sound system, you never know who you’re going to be working with. You may get stuck with the groom’s uncle (who worked as a roadie in ’86) doing sound for you, so you’ll want to be able to make your own tweaks. Besides that, as I mentioned earlier, many couples will want the band to provide the sound system. If so, you’ll either have to bring a sound tech (which is not a bad idea) or learn how to do your own sound. Weddings have a different dress code than bars do. If everyone else is wearing a suit and tie, then the band should probably be wearing a suit and tie as well. Or at least something fairly nice. You need to keep the evening cohesive, and as the entertainment, you need to look the part. While weddings are quite lucrative for bands, they’re also expensive for the people getting married. The couple hiring you may want to negotiate your fee, so you have to be ready for that. If this is something you struggle with, I recommend reading The Secret of Power Negotiating by Roger Dawson. It’s an incredible book that will help you get paid what you deserve to get paid. You’ve already put in a ton of work and now it’s time to play. Getting gigs when you’re starting out may seem hard, but it will happen quickly if you’re a good band. First, start playing at bars as a cover band. Have them hire you for a door deal or for an event. I can almost guarantee that someone at that bar will be getting married within the year and they may just send you a message. Have business cards ready to hand out and don’t be afraid to say that you “do weddings”. Some wedding bands sign up to be a part of wedding shows. You’ll go there with photos, live video, and business cards, and hopefully some couples shopping for wedding stuff will hire you. The best advertising for a wedding band is word of mouth. As long as you’re a good band, the gigs will start rolling in. And not just for weddings. 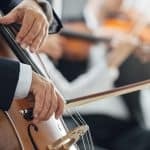 Once you’ve played a few weddings, you’ll open up a world of gigs – including office parties, Christmas parties, and events at bars, all of which can pay quite well. So I bet you want to know, how much do wedding singers get paid? In my opinion, a wedding should always allow you to earn $400+ per musician. Playing weddings is hard work. It’s fun work, but it’s hard. The day is long, the sets are long, and there is often a fair bit of pressure. When you first start playing, you may have to play for under $400 per person, but once you’re established I wouldn’t play for less than that. It’s always wise to have the other party say a number first. You never know, the number might be higher than expected. If so, say yes. Or, if they lowball you, don’t be afraid to counter-offer. It’s basically expected that you will do so. Always ensure that you won’t be dipping into the fee too much to travel to the wedding. All other companies charge for travel, so there is no reason why you shouldn’t. This can also be a good way to just increase your rate overall. Tacking an extra $200 on to your fee for travel is not unreasonable. Owning, hauling, and setting up a sound system is a pain in the neck. You should be charging extra for it. It’s always good to ask how much they had budgeted for a sound system. This way, if they were planning on hiring a sound company, you can undercut the rate a little bit to make some extra cash. On the other hand, we often encourage people to just spend the extra money on a sound system and a sound tech. It’s much easier for the band and the sound is usually better too. All in all, I would aim for at least $500 per person for the gig. That is a fair price for the amount of work that goes into playing a wedding. There are also bands who play for $1,000 per person. It all depends on the person hosting the wedding and the reputation of the band. There are other money-making opportunities for musicians at weddings. People often hire musicians to sing the couple down the aisle. If you’re an instrumentalist, this may be your gig. Couple soften hire jazz or classical musicians to play during supper. Again, if this is your specialty, you may be able to market to these people. 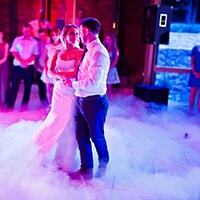 If you’re a DJ, many couples opt for DJs during the reception to save money and have a different type of dance party. Regardless of where you’re performing in the wedding or what kind of musician you are, the steps above are much the same. Learn the necessary wedding songs, start playing different gigs and let it be known you’ll do weddings. Negotiate a fair rate. Make sure everyone is getting paid fairly. When you play weddings, be professional, look sharp, and have fun. 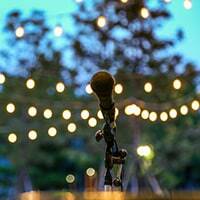 If you sound good and you follow those steps, you are guaranteed to book more weddings. It’s a little known fact that some of the biggest musicians in the world also play weddings, Bar Mitzvahs, and the like. So, even though some musicians write off playing weddings as “selling out”, it’s a perfectly respectable gig. While it can be a lot of fun, it isn’t easy work, either. At the end of the day, what matters most is celebrating the union of those you’re performing for.